These 1950s-inspired rattan chairs from Cox & Cox offer an interesting take on the mid-century look. If you thought wicker and rattan were left for good in the 1980s, think again. 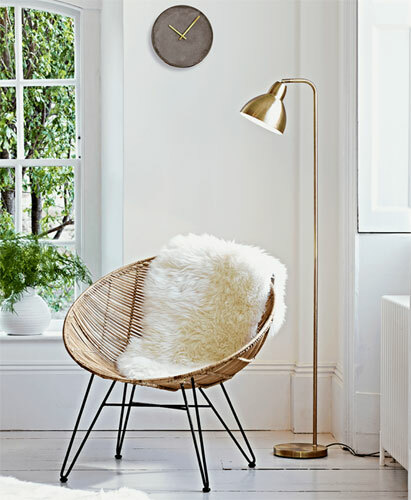 Sika Design is bringing it back using iconic Danish design, which includes this 1950s Oeuf rattan hanging chair. A simple but stylish way to add some midcentury style to a room: these wicker mirrors from Anthropologie. The Sura rattan chair is a design from Habitat's latest collection but looks like it could have come out of the 1970s. We featured Graham and Green's striking Cubist mirror last week. But what we were really holding out for was their Rattan mirror set – then out of stock and now thankfully available again.